In order for responsible and sustainable business to become the norm, it has to become part of the mainstream business culture. Let’s just take that as being the exam question we have to answer for now, and see where it takes us. We know enough about human beings to know that we are very much shaped by our context. Specifically, people follow incentives. As the Freakonomics authors showed, study any situation that creates perverse incentives to cheat, you will find people quietly cheating. Business as usual creates certain incentives. People follow them. The mainstream business culture over recent decades has been one that - conceptually - sees business as a thing apart from society. It has its own logic, its own set of priorities, that comes purely from market signals and success measured in terms of short-term profits. It is that logic that can give rise to arguments such as ‘the business of business is business’ and ‘maximising returns to shareholders’. For all that businesses now understand they need to be more responsive to society’s expectations, the culture is still predominantly unchanged. 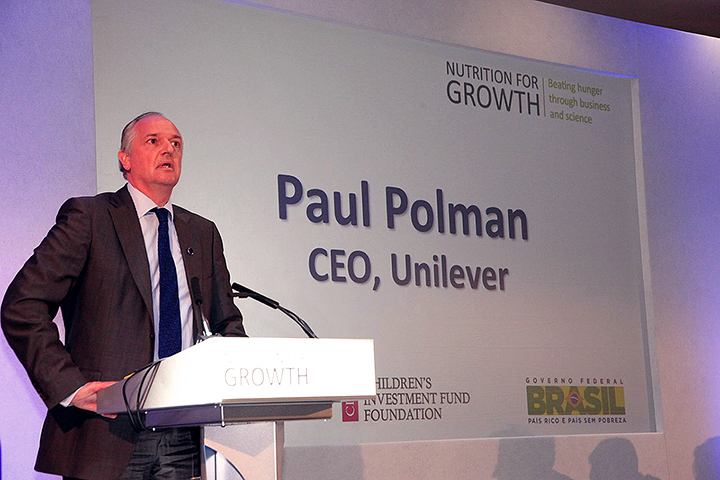 CEOs like Paul Polman, who talk about the long-term sustainable mission of business, are still viewed as outliers who will be in deep trouble as soon as the short-term numbers don’t get delivered. The culture of business feels different, but predominantly not much has changed. So the question is this: how do we move from where we are today to where we need to be? And more difficult - how do we do that with people the way they are, not the way we’d like them to be? That last provision rules out an ethical consumer-led revolution, for instance, which people persist in believing in without any evidence it has ever, or could ever happen. The main problem is that the model hasn’t changed. Company leaders are tasked in principle with creating long-term value via their businesses. For all that most of them are following perverse incentives that overvalue short-term returns, just about all of them would raise their hands if asked to sign up to the objective of creating long-term value. But businesses are not separate from society - they are a part of society. Creating value for the long-term is best done within the context of a healthy environment and a thriving society. Yes, you can make a short-term killing in a crisis. But to build a house that lasts, you need strong foundations. So the mission of creating long-term value as a part of society means that it is an entirely natural and obvious part of business to support the health of the environment and the health of society. How does that become part of mainstream business culture? Two ways. First, that conceptual model needs to become embedded within business society worldwide. It has to be how business gets taught, and how it gets practiced. That depends on politicians and campaigners and business leaders who get it chipping away over time at the conceptual model of business as a thing that stands separate from society. Second - it needs to become an aspirational part of business leadership. I used to be a part of Business in the Community, which when I was there could count on the active participation of more senior business leadership than any other equivalent organisation anywhere in the world. I was often asked when I travelled how it had achieved this, and could it be replicated in that part of the world. I always said yes, it could. It happened because top business leaders of the day had signed up (at prompting from the Prince of Wales) to being champions for the cause. These were the people seen as the rock stars of the UK business firmament. The ones people wanted to network with. The ones they wanted to be like. Getting involved with CSR became the best way to build a common platform with such people. It became a club that many top leaders wanted to be a member of. It’s not easy to achieve, and arguably BITC for whatever reason has lost a significant part of that asset since those days. But others took it further. KPMG made it a requirement for all senior partners that they would take ownership of one area of their social responsibility agenda. Involvement in that way became a part of how leadership was defined within the company. That meant that all the hungry ambitious young turks who were looking to see what they needed to do in order to progress were presented with citizenship as part of the answer. In other words, they were presented with the incentive that, in order to become successful, they had to get to grips with the citizenship agenda. And logically that is true - it's not an artificial construct. The role of business leadership today does expect a certain sure-footedness in dealing with a range of societal issues and expectations. Almost nobody currently coaches or supports senior business leaders in that part of their job. That in itself is an extraordinary statement of how far we need to go. The KPMG example is the effect we have to replicate. The citizenship agenda - by which I mean supporting the business context of sustainable environment and healthy society - needs to become a key part of how leadership is defined by the business of the future. You achieve that in each country by building a network of senior respected leaders who become the levers for change for the culture. Unfortunately, right now nobody is pursuing a strategy that looks anything like that - seeking to build it into the wider business culture. They’re obsessing about tactical details of implementation of side-projects, rather than attacking root causes. We understand it’s about business purpose - and personal purpose for that matter - but for all that companies are talking about purpose as the trendy phrase of the moment, most of them fundamentally fail to grasp the point of the difference it should make to how they run their business. At the moment, you have to be an exceptional leader to take charge of a business and use that platform to further the cause of sustainability. Luckily, we have a few such individuals around - although the number has remained rather static at a time when it should be growing. We need it to become the case where the job is so defined that even the larger group of mediocre workmanlike leaders have little choice but to follow the correct incentives to make a difference. Until that happens, it’s not going to get to the scale it needs to get to. Failure is an option. It’s time we stopped messing around and got serious.